Vodafone India has introduced an innovative service ‘Vodafone Sakhi Pack’ for subscribers in UP West & Uttarakhand. The service was launched in the presence of Smt. Rekha Arya, Hon'ble Minister - Women’s Welfare and Child Development and Shri Dilip Kumar Ganta – Business Head, Vodafone UP West Circle. Vodafone Sakhi is free of cost service, which enables users to conveniently recharge their mobile phones, without sharing their mobile numbers with retailers. Country’s leading telecom operator, Vodafone had earlier rolled out this service in a test phase and received phenomenal response across the region. To avail the Vodafone Private Recharge option, a customer needs to send a toll-free SMS - 'Private' - to 12604 which allows subscribers to make a Private Recharge through an OTP code, without sharing mobile number. This OTP can also be used for all recharges done over a 24 hour period. 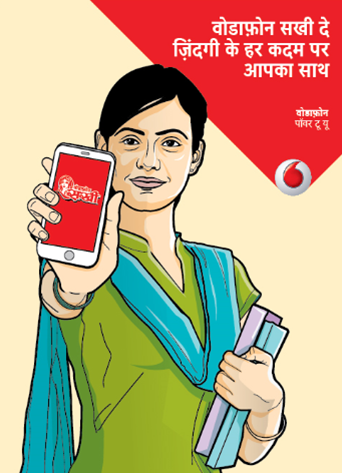 ‘Vodafone Sakhi’ will be available across UP (W) and Uttarakhand. The offer has been affordably priced, starting from Rs. 52 only, to cater to women from all socio-economic backgrounds.